I am sure no one is really interested but I though I would share a day in the life of me. Each day can be completely different but most start with an early morning rise around 6 and with a large Coffee and Big Breakfast. Breakfast is my favourite meal of the day so I always make sure I have it. 7am- I leave my house and head into Birmingham to get the train into London so once I’m on the train I spent my time reading and replying to emails. 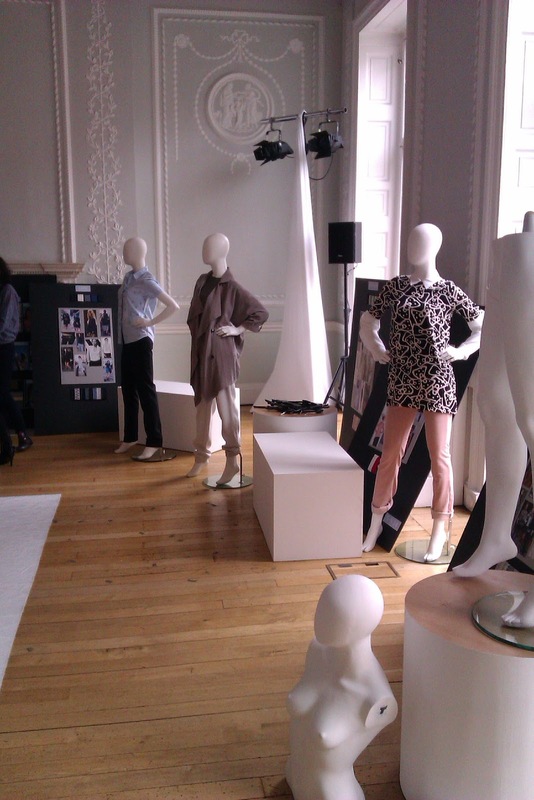 10am- I arrive at Portland Place, my destination for the day, where I have come to style mannequin for Spring Summer 2013 Womenswear Presentation for Next. All the clothes have already been sourced from a range of high end designers to high street retailers. There are 6 trends that have been identified; Demi Couture, Modern Tailoring, Tea Rose, Denim, Unisex & Modern Casual. 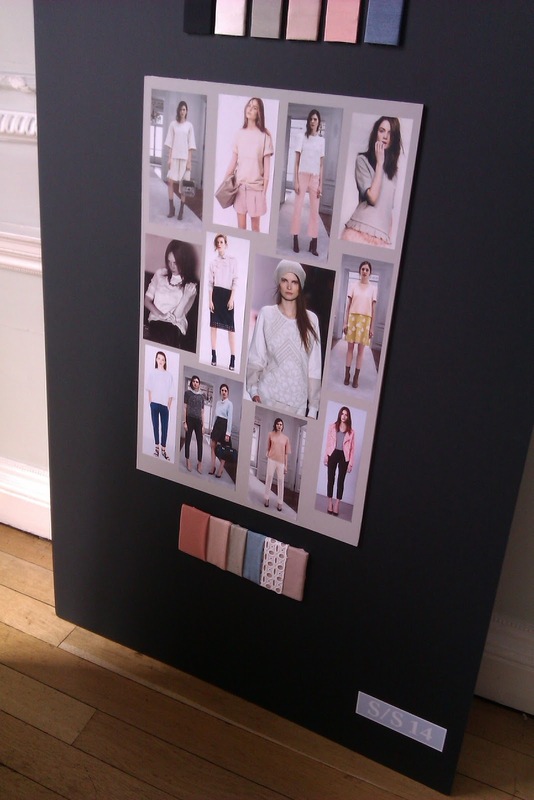 Each of these trends have mood boards, showing silhouettes, colours and fabric samples. 1pm After lunch the models arrive, there are two models for each of the above trends. Make-Up & Hair are discussed and decided on. 3pm- Catwalk run through with music takes place, after the 3rd run through everyone is happy with the outcome with just a few notes on timing of the music. 4pm- Final outfit changes on the mannequins are decided and changed last minute shoe’s arrive so they actually fit on the mannequin and models feet. Layout of mannequins are rearranged to achieve best look and to allow enough room for models to stand by the correct mannequin. 5.15pm- Head back toward Euston to get return train back to Birmingham New Street. On the train on the way back I reply to all the messages I have had through out the day. All email addresses are checked and replied to, one less job to do when I get back. 7.30pm- Get home and have my dinner waiting for me, I have a very good Boyfriend =). 8pm- Watch Great British Sewing Bee whilst editing photos for my vintage boutique, so I can list a new item. I like to list at least one item a day to keep people interested and always coming back, that’s my plan anyway. 9pm- Time to update this blog, again I try to update at least every other day.